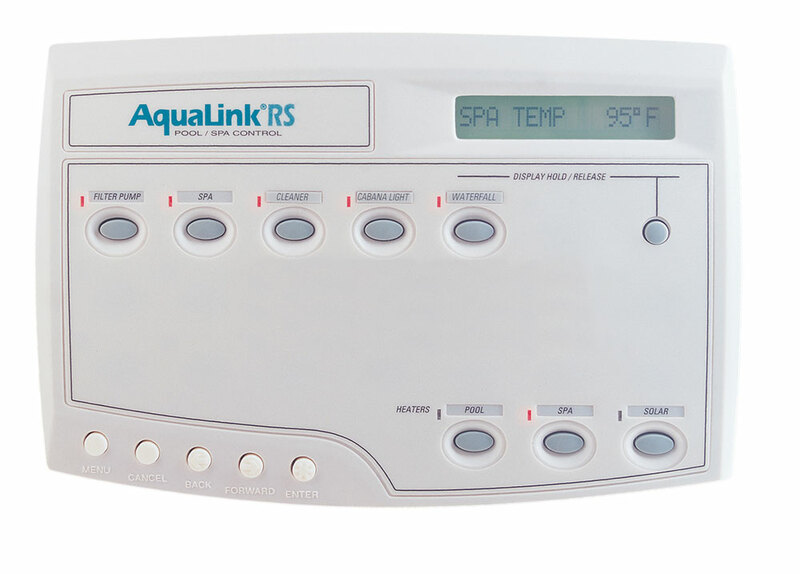 There are many types of swimming pool controllers one of the must common are the basic Intermatic timer control mechanisms. 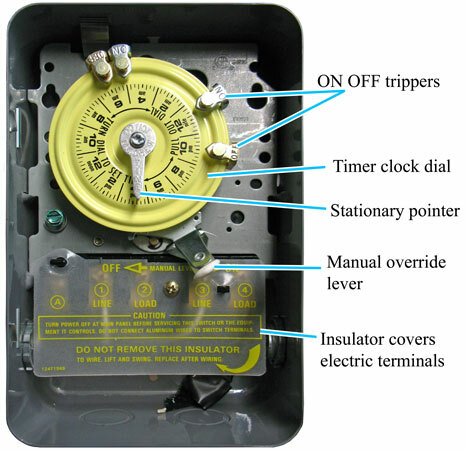 This one is very basic and just has a dial that you set the correct time to by gently pulling the yellow timer out and turning it to the correct time of day and then gently pushing it back inwards. After that you can easily adjust when it comes On and Off by moving the On Off pins to the desired times. Another common one is the Jandy Aqualink. This one has a digital in house display and an outside control box normally close to the pool equipment. 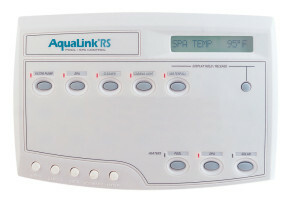 Here you can program many items of the pool and turn them On and Off. To set a particular piece of equipment to turn on and off at predetermined times, press the MENU button scroll to the PROGRAM MENU, press ENTER, and then press the button for the equipment that you want to program. The control panel display will ask you to enter the day. Use the arrow keys to select, and press ENTER. The display will now prompt you for the starting time and ending time. Repeat this process for each piece of equipment that you wish to program. You may enter as many programs as needed for each piece of equipment. This entry was tagged pool control box, swimming pool controller, Timer control. Bookmark the permalink. ← PoolStar™ sponsored “Safe Pools Rule” Henderson firefighters.